The small market town of Leyburn, often called a "A Town for all Seasons", stands above the northern bank of the River Ure in beautiful Wensleydale and just outside the eastern edge of the Yorkshire Dales National Park. The town provides an excellent base for exploring the Yorkshire Dales. 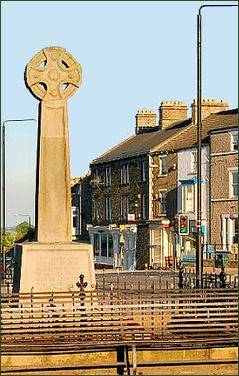 Leyburn's name derives from the Anglo-Saxon word 'Ley' meaning clearing, and 'burn' which means a stream. Leyburn is linked to its neighbour, Middleham, by a bridge, which was built over the river in 1829.. The bridge was originally constructed in the form of a suspension bridge, but was rebuilt after it collapsed. 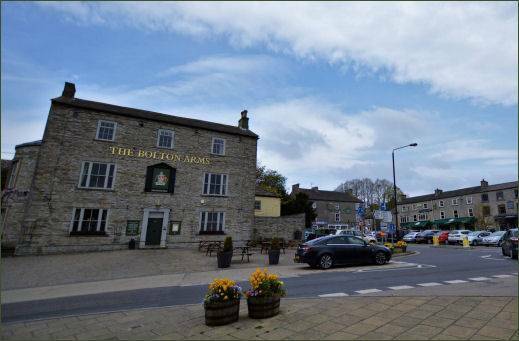 The town, which serves as the commercial hub of the Dales, boasts two markets, several pubs and many small speciality stores. Market day in Leyburn is held on Fridays. Several independently owned shops are situated around a market square with a number of pubs, bars and a cinema. 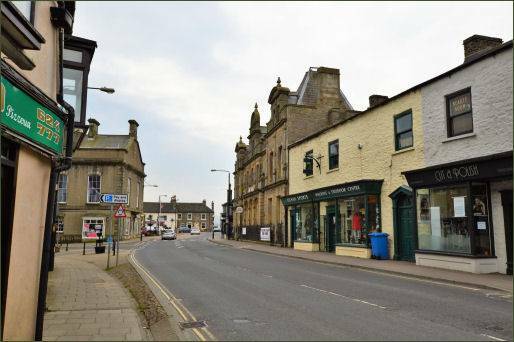 Shops include Tennant's auction house, a small department store called Milners of Leyburn, Campbell's supermarket, a chocolate shop, a range of oriental takeaways, electrical stores and a hunting and sports shop. 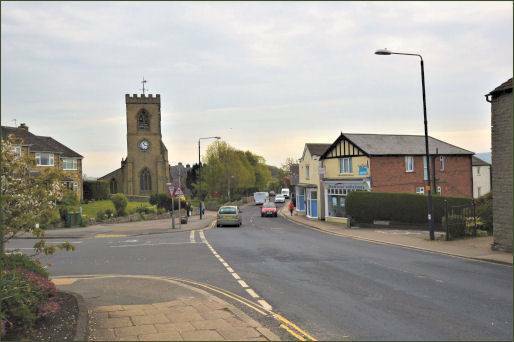 The town also has a 6,000 square feet (560 m2) antiques centre on Harmby Road. 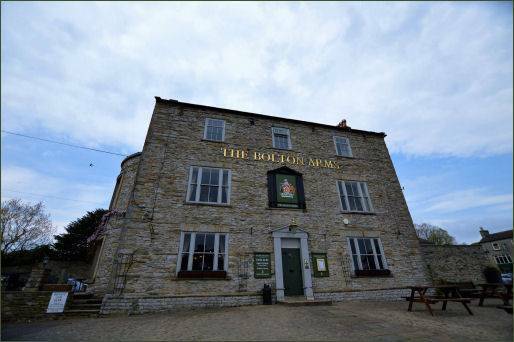 The Wensleydale Heifer is now a boutique hotel, though there are more traditional options around like the Blue Lion, an eighteenth century coaching inn in East Witton. Although a small town, Leyburn has its own railway station on the re-opened Wensleydale Railway (pictured left) which offers tourist rides throughout the dale, mostly on diesel multiple units but occasionally on a steam train and runs from Leeming Bar just by the A1 to Redmire six miles to the west of Leyburn. The town hosts an annual Dales Festival of Food & Drink in May, offering a wide range of organic food, drink and home-grown produce from throughout the region. 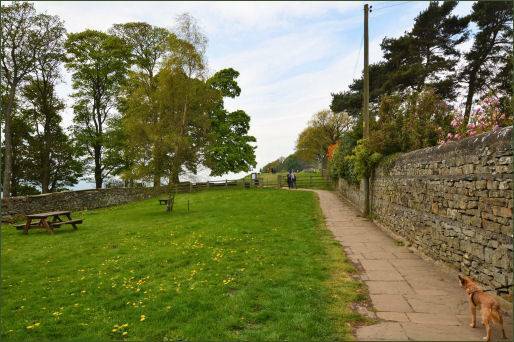 Leyburn is a centre for walking, cycling and general sight-seeing, especially the impressive waterfalls for which Wensleydale is renowned and makes a good base from which to explore the Eastern Dales. The town is famous for the Leyburn Shawl, a long rocky escarpment of about 1.5 miles in length which provides panoramic views of the stunning Wensleydale landscape. The Shawl is the start of several circular walks taking in the nearby village of , from where Wensleydale derives its name. 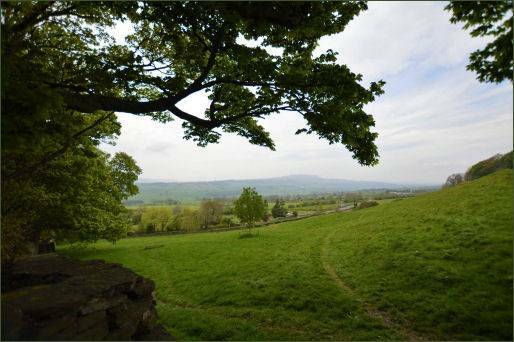 Leyburn has a number of excellent walking routes, but a time when hikers really come to town is for the Wensleydale Wander. Typically it is held in March and April and is sponsored by the Leyburn Rotary Club. It allows those taking part to choose between routes covering 12 or 22 miles. According to legend, Mary, Queen of Scots, upon fleeing captivity in nearby Bolton Castle dropped her shawl en route to Leyburn. The queen was imprisoned inside Bolton Castle's walls following the defeat of her army by the rebellious Scottish lords at the Battle of Langside in 1568. The bedroom in which she was lodged can still be visited as well as the castle's dungeon. The Forbidden Corner is a folly-filled garden in the grounds of the Tupgill Park Estate near Leyburn. The acclaimed garden features on the Huffington Post "Top 10 Pieces of Folly Architecture. A Dales Festival of Food and Drink is held annually during the May Day bank holiday weekend. There is an annual 1940s weekend, which takes place each year at the end of July. Wensleydale agricultural show is held on the third Saturday in August.